Fulati Tayierjiang is a Chinese contemporary artist born in Xinjiang, China, in 1977. 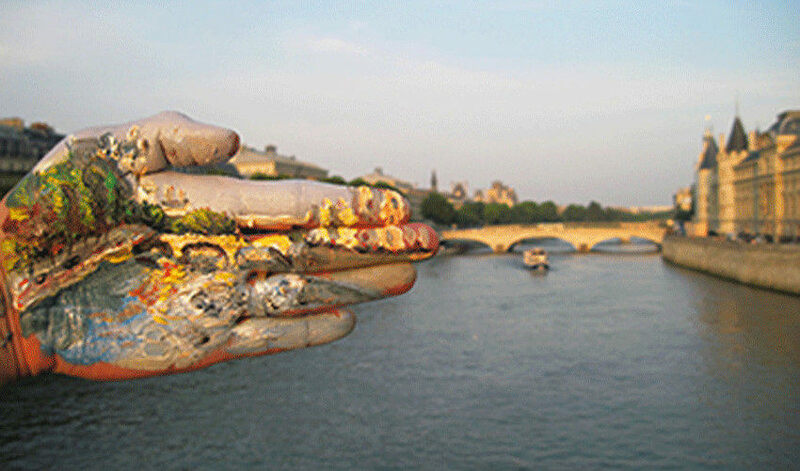 He is known for connecting painting and photography in a unique way. Tayierjiang graduated from Urumchi Institute of Arts in 1994, and worked at Institute of Arts in Xinjing as a Faculty of Art School. He studied in Ecole Nationals Superieure of the Art Schools in Paris from 2005- 2007, and later pursued his graduate degree in Fine Arts in University Of Paris in Saint-Denis. The artist in interested in the idea and wants to integrate an individual in the community. Tayierjiang seeks to explore the relationship between himself and the things around him, between his own body and landscapes. 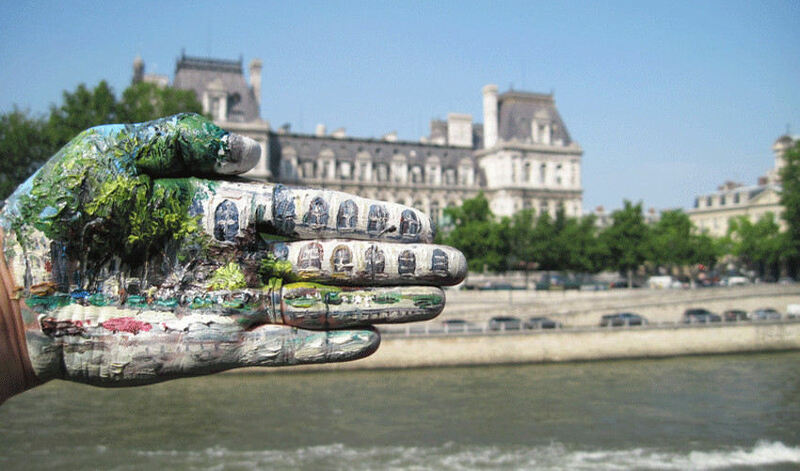 He travels the world looking for scenic spots, historical monuments, and paints them on the palm of his left hand, which he then photographs in a manner that integrates the painting and his view of the world. In a way, he isn’t just a painter and a photographer, he is also a performer, whose goal is to immortalize both his painting and the process of connecting to the society. Tayierjiang does this in an instant, taking a photograph of his work. 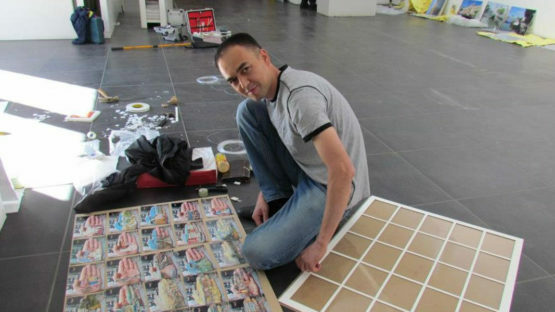 Tayierjiang, also known as Polat Tayir, does so much more that painting and photography. He discovers places of significance for the society, and wants to be a part of those places, and also a part of society. The artist knows that he is an individual, but he develops a sense of belonging by connecting and exchanging what he is and what makes him with what surrounds him. He gives new meaning to the classic of our monuments, fresh look on history, and at the same time, he makes himself the part of the history. Fulati Tayierjiang lives and works in Paris. All images courtesy of Geraldine Banier gallery.